We’d love your help. 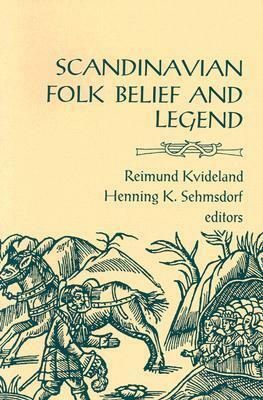 Let us know what’s wrong with this preview of Scandinavian Folk Belief and Legend by Reimund Kvideland. To ask other readers questions about Scandinavian Folk Belief and Legend, please sign up. Really nice, well-organized collection of folk legends. As far as I can ascertain the translations are quite good. Extremely accessible to the casual reader without losing any of its scholarly appeal. again, more research. i got the most use out of the chapter & section notes, but there were some rly great stories in this one. most of the stuff about ghosts i'd already found in the jacqueline simpson book, but i got a lot of great info about witches & magic in this one. The introduction section was perfect. I thought the cataloging of lore and legends was well done. I found the correlations to lore and religion all around the world to be interesting. Written for an academic readership, this book boils down old tales and legends to the barest of outlines, compressing epics (or at least fully realized tales) into paragraph-long riffs. It's an incredible way to warehouse a tremendous volume of lore and legends, and it makes for fascinating reading. Excellent collection. it was used as the main text in a Scandinavian folk literature class I took. super thorough, well organized. frill-less oral tellings. i skipped round a bit, but definitely a useful resource.